This program provides an opportunity for Occupational Therapy (OT), Physical Therapy (PT) and Speech and Language Pathology (SLP) students to engage in their fields of study within a developing-country context. Participants will explore the similarities and differences of therapy practice in Tanzania compared with those in their country of study. As students spend time with local professionals and health workers, they will gain valuable insight into different practices and methodologies that are more effectively implemented in developing countries, utilizing locally-available knowledge and resources. Participants will experience the vibrancy and warmth of Tanzanian people from all walks of life as they immerse themselves in the culture. This module will be based for the most part in Arusha, the capital city of the Arusha Region in Northern Tanzania. Arusha sits in the shadow of Mt. Meru, on the edge of the eastern branch of the Great African Rift Valley and acts as a very important hub for the East African Community, the African Court on Human and Peoples’ Rights and the Tanzanian tourism industry. Arusha, a culturally-diverse city with a majority Tanzanian population from a variety of backgrounds (including indigenous African, Arab-Tanzanian and Indian-Tanzanian), provides the perfect location and environment for this study-abroad module. The main religions represented in the region include Christianity, Islam and Hinduism. The city’s strategic position allows easy access to Tanzania’s most famous National Parks, such as Ngorongoro Crater, Serengeti, Tarangire and Lake Manyara National Parks, and Mt. Kilimanjaro. The accommodations included are very comfortable and secure, and provide excellent “home away from home” bases for the program. All rooms have en-suite bathrooms. Hearty meals, hot showers and meeting rooms are also provided. In our Arusha accommodation, free WIFI is available in public areas. The minimum duration for this module is 12 days. The maximum length is 21 days. Kristen is a Doctor of Physical Therapy practicing in the United States. She grew up in New York, but her love of the mountains and outdoors brought her to Washington State. Kristen’s passion in rehabilitation and medicine is pediatrics, yet she has experience working with a variety of populations. 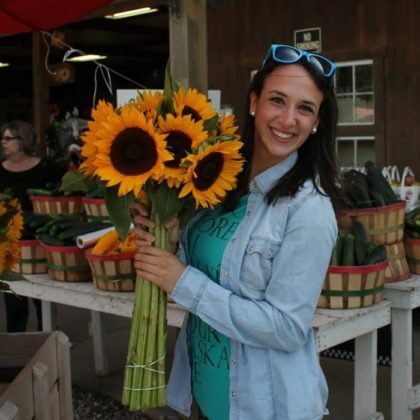 She volunteered in Tanzania as a licensed Physical Therapist for the first time in April 2016, and her passion for teaching and traveling has inspired her to continue leading educational modules and programs abroad. When Kristen is not lending a helping hand, she’s writing, taking photos, drawing, or outside climbing and mountaineering! Kristen’s mission is to grow and learn alongside individuals from other cultures and backgrounds in effort to create sustainable, conscious outreach to communities in need. Margaret has a Masters degree in chemistry and a diploma in Education. She was the Education Program Manager of an International NGO but decided to leave that career path to pursue Special Education in order to provide education and a flourishing life for her autistic daughter Ruth. She is now the Executive Director of Step By Step Learning Centre which has been providing education and medical care to children with disabilites since 2005. 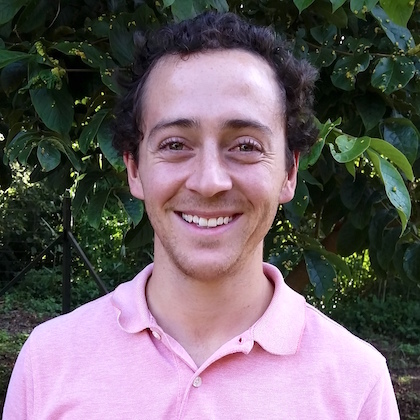 Tyler Kinzer studied Intercultural Studies at John Brown University in the United States. Before joining the EDU Africa family, he worked as a high-end interior carpenter before he and his wife moved to Tanzania. “Having been born and raised in Kenya, East Africa is my home which has cultivated in me a deep love of adventure, nature, culture and people. I spent my childhood camping and hiking, and on the seat of my motorcycle exploring as much of Kenya as I could. I have a passion for adventure, travel and Africa. I am lucky to be able to share all of that with my incredible wife”. Thank you for your interest in this module and developing a faculty-led program with EDU Africa. We pride ourselves in our ability to customize a program that will meet your requirements, exceed your expectations and make your vision come to life. Known as the “Roof of Africa,” Mt. 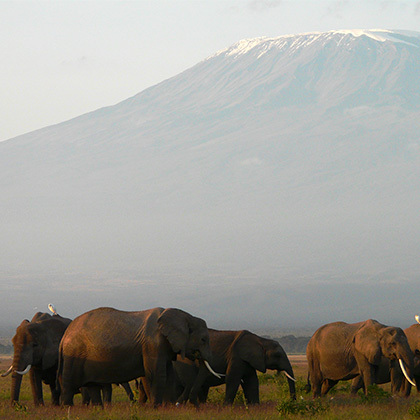 Kilimanjaro is the highest point on the African continent, standing at 5896 meters. What make it all the more impressive are its three snowy peaks, topped with glaciers that often protrude above the clouds. Immersed in local myth and culture, and with breathtaking views, few mountains can claim the grandeur of Mt. Kilimanjaro. The Ngorongoro Crater, a caldera of an ancient volcanic explosion, teems with wildlife in all shapes and sizes. It has some of the densest populations of the “Big Five” on the planet, and is renowned for its lush and captivating scenery. 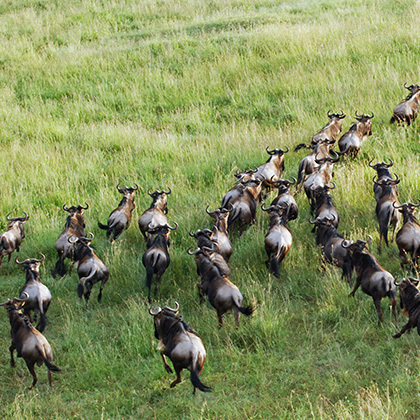 As a World Heritage Site, it is one of the most appealing game drive locations in Africa.